When you're in Lettering and you click on the dropdown list for the list of fonts. I would like to see the example of the font to be larger on the screen at higher resolutions. 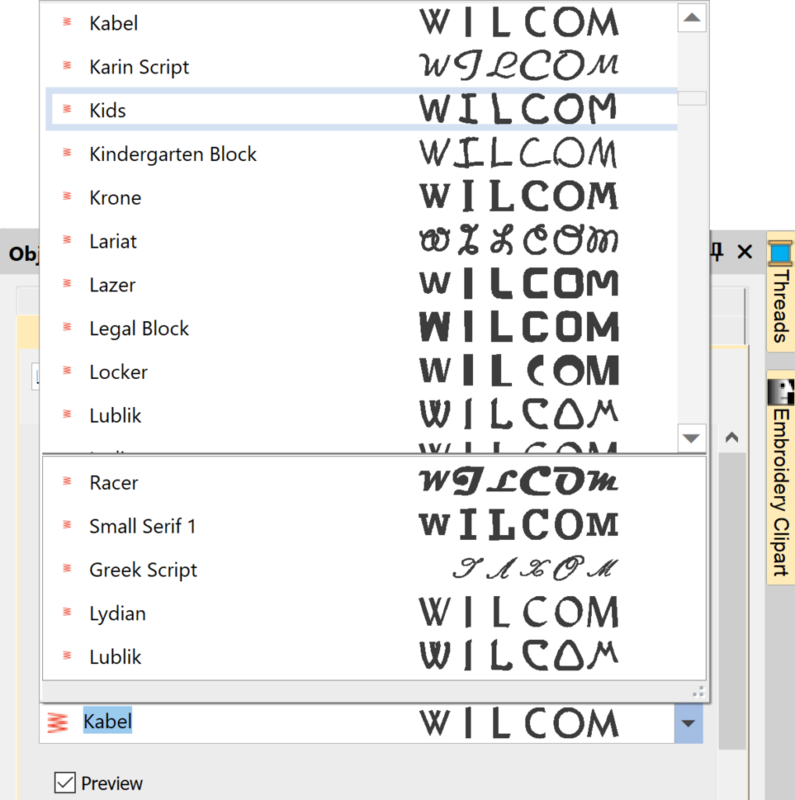 Or have the ability to increase or decrease the size of the example of the fonts. Thank you so much for adding this feature. It will help a lot of us to be able to see the font easier. I almost can't wait for the update. I generally wait a while before I update but this time as soon as its out I'm updating. I have been very pleased with Wilcom e4.